Previously called the "Hooden on the Hill" the premises was damaged in a fire that started in the kitchen in November 2016. 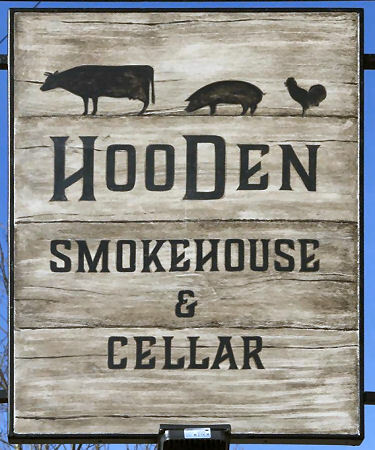 After the fire closed the premises it underwent a partial rebuild for the damaged property and when opened had changed name to the "Hooden Smokehouse & Cellar." How apt. From the https://www.kentonline.co.uk By Aidan Barlow. 23 March 2018. Hooden Smokehouse and Cellar reopens in Ashford after fire. 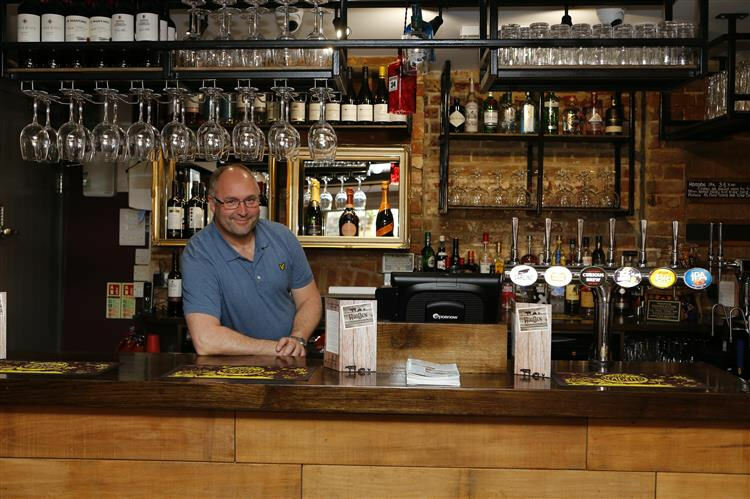 A pub landlord has opened the doors of a newly refurbished pub, more than a year after it was devastated by fire. The Hooden on the Hill at Silver Hill Road in Willesborough Lees was gutted in a blaze at the end of November 2016 after flames spread from the kitchen to the timbers of the grade-II listed pub. 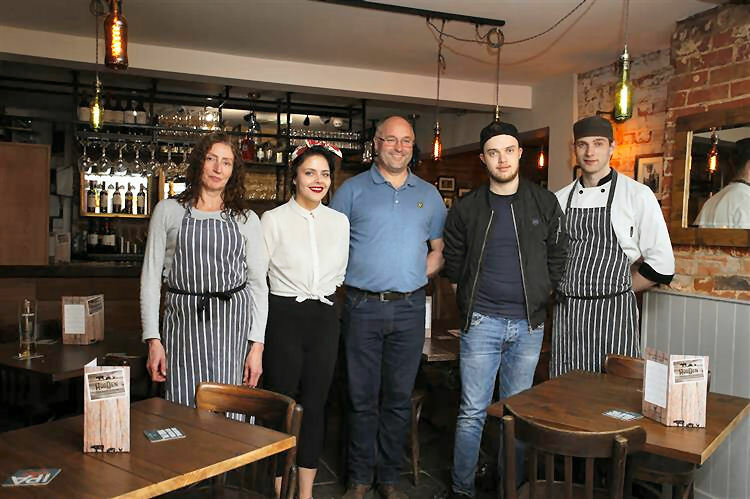 Now it has reopened as the Hooden Smokehouse and Cellar, with landlords Howard and Victoria Lapish bringing it back to life with an American smoker in the kitchen. Mr Lapish said they held a soft launch of the pub, with some low-key events in the run up to the reopening on Wednesday, March 21. He said: “We have had a good response, and a nice mix between our old regulars and new clientele. We want to welcome people we know and new faces as well, as it’s important that we do bring new people through the door. Mr Lapish had asked neighbours and residents to supply historic images and artefacts to decorate the pub, and received pictures of the pub before the fire, as well as an old picture of the former landlord and landlady. 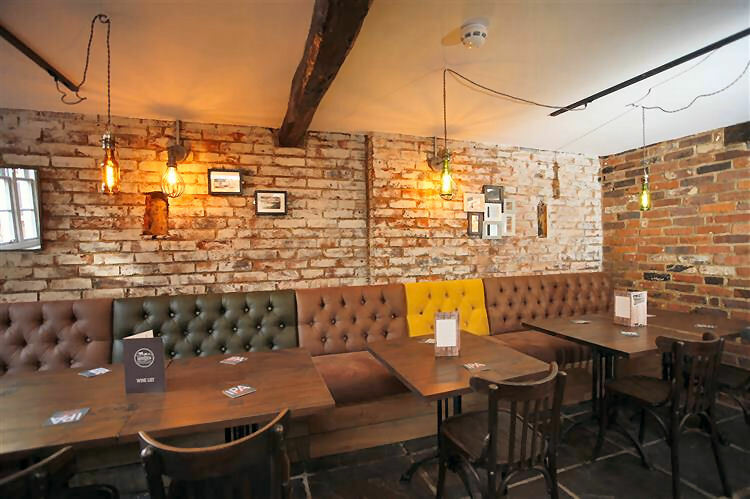 He said he wants to keep the feel of a pub that does food, and said the smokehouse approach will allow the staff to reach out to new customers. A consultant has been brought in to train three new chefs in American smokehouse cuisine, which will include briskets, pulled pork, burgers, steaks and chicken. Even the vegetables can be smoked. He said work is under way in the pub’s garden, which could host barbecues to add to the smokehouse theme during the summer, while the first beer festival is set for the final bank holiday in May.